Obverse Design All lettering incused. Manufacturer's name is in very tiny letters at the top "J. ROBBINS MFG. 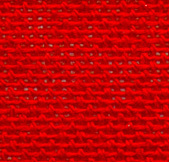 CO. BOSTON" above the slotted hole. First line "R.W. HEBARD & Co.". Second line "1691" (most likely the employee number). Next line "CHIRIQUI" and last line "RAILROAD". Metal Brass. Weight Unknown. Size and Shape Rectangular about 45 mm high by 38 mm wide with an oval hole across the top. Dates Issued Between April 1914 and April 1916. Issurer R.W. Hebard and Company's Chiriqui Railroad. Numbers Issued Pieces in collector hands include #1691. J. Robbins Manufacturing Company of Boston. Other Catalog Numbers None. Varieties There are rectangular and round varieties of Chiriqui Railroad checks. Function Unknown. This may have been an employee check (for collecting pay as was done in building the Panama Canal) or a tool check. I would appreciate from anyone who can add anything to the history of this piece. Check #1691 - Sold at auction on ebay on May 4, 2003 for $92.25 plus $3.00 shipping. R.W. Hebard was an American businessman who was very busy handling many construction jobs in Panama around this time. In 1910 in association with some other individuals, he was contracted by the Isthmian Canal Commission to dig part of the Panama Canal. His firm excavated 250,000 cubic yards in the Barbacoas and Bohio sections of the canal, and made a very good impression on the ICC and local authorities. From April 1912 to June 1913 R.W. Hebard and Company built the Panama Electric Tramway. This was the trolley system in Panama City which operated as public transportation for a number of years. 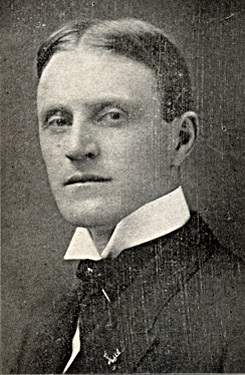 In 1913 R.W. Hebard contracted to build a power plant to provide electricity for the tramway and for public lighting. The firm completed this 1250 k.w. steam turbine power plant in 1916. R.W. Hebard also built many buildings. These included the Hamburg American Line office building at Cristobal, the Palacio de Artes, the Palacio de Gobierno at Panama, the Republic of Cuba legation building, the Pacific Steam Navigation Company's office building and a number of reinforced concrete buildings in Colon. His efforts were not limited to Panama. R.W. Hebard and Company was also contracted by the government of Nicaragua to do an engineering study of what it would take to run water and sewer lines in the capital city of Managua. To better finance all this work, R.W. Hebard and Company incorporated in the state of Delaware in 1913, and the company's name became R.W. Hebard and Company, Inc. The government of Panama entered into a contract with R.W. 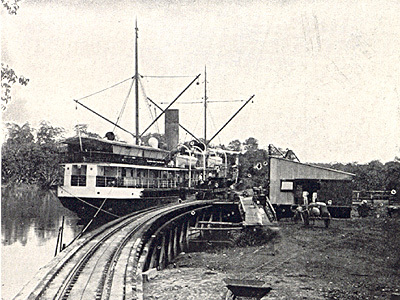 Hebard and Company in February of 1914 to build the Chiriqui Railroad. This railroad had 60 miles of 36" gauge track. It ran from Pedregral (the port of David, capital of Chiriqui) to the town of Boquete, and had branches to the towns of La Conception and Potrerillos. Boquete, Potrerillos and La Conception are rich agricultural centers. The work included a 410 foot suspension bridge over the Chiriqui River, 175 miles of telephone and telegraph lines, and the dock at Pedregral. Construction started in April of 1914 and was completed in April of 1916, ahead of schedule. The Boquete to David portion of the railroad is known to have operated until 1949 (I do not know about the other branches). At that time, an automobile road was opened between David and Boquete. The bus service was faster and more efficient than the train, and the railroad service was discontinued almost immediately. The tracks were removed around 1952.